To improve its resilience to new CBRN attacks and threats, the EU needs a specialized, competitive, efficient and sustainable industry. Capitalizing on its experience in the EDEN Demonstration Project, other CBRN relevant projects, and in the CBRN market and supply chain, the ENCIRCLE consortium proposes an innovative approach to reach this goal in a short to long term perspective. Once achieved it will allow SMEs and large industries to deliver and invest in the best innovations on the market. Improve and facilitate European CBRN dissemination and exploitation. The project is conducted by a consortium of specialized industries, trade associations and research organisations with flexible and lean procedures under the advice of the EC Community of Users. It will rely on two large interactive communities: practitioners and customers, and industrial and technological providers: the latter including many SMEs. 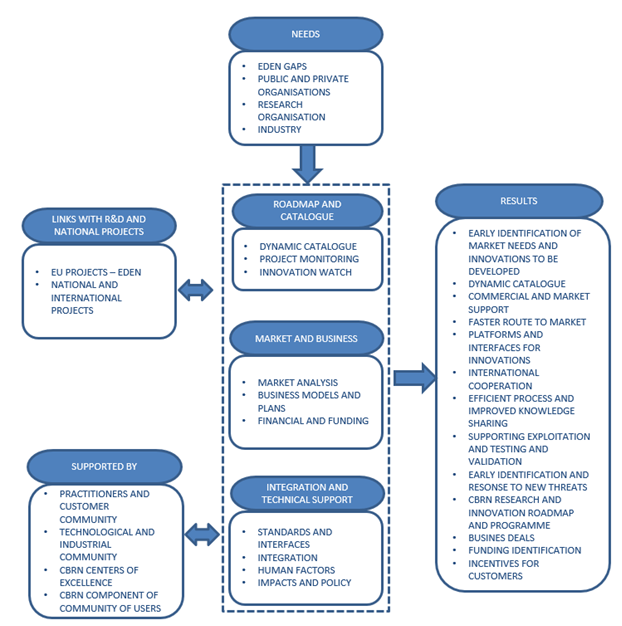 To optimize the needs and gaps assessment, as well as innovation development, acceptance and success, ENCIRCLE will establish formal links with other consortia such as future Part b projects. The main expected impact is the enhancement of the EU CBRN industry’s competitiveness. This will allow it to enlarge its market share while increasing the benefits of the EU research and innovation to improve CBRN preparedness, response, resilience and recovery efficiency. The ENCIRCLE project involves a consortium of fifteen members across 7 countries, with Universite Catholique de Louvain as a consortium leader. 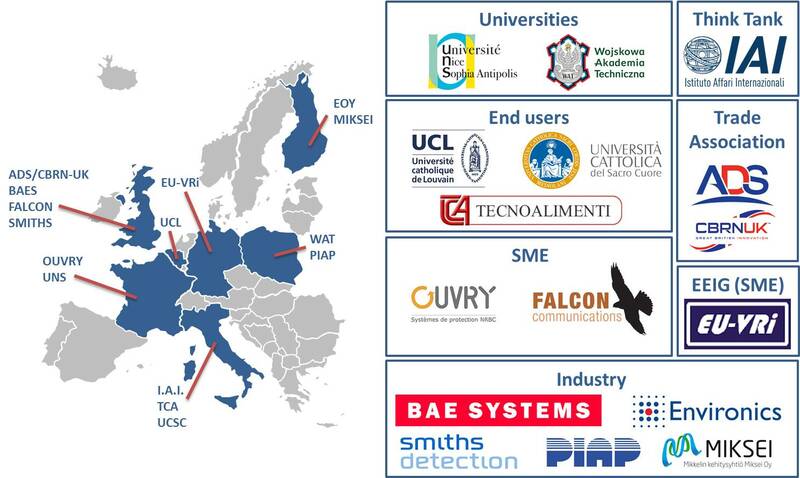 The consortium is balanced between Industrial partners with expertise in CBRN, universities, RTO’s, practitioners and institutions to meet the project objectives.